We have more results from this year’s “Talent Power Ranking”! This time, the focus is on female idols. 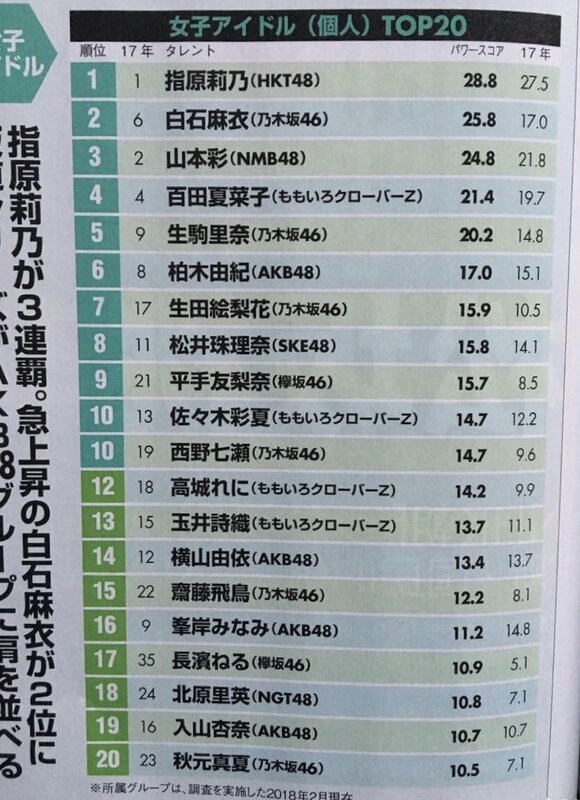 HKT48’s Rino Sashihara tops the list for the third consecutive year, with Mai Shiraishi of Nogizaka46 coming in second. Rounding out the top three is NMB48’s Sayaka Yamamoto. See the rest of the top 20 after the jump!